According to french mainstream media the second wave of expulsions at La Zad will start tomorrow morning, May 17. Probably in the early morning hours (Some media speculate at 06:00am). We will publish a live blog tomorrow morning. Apart from the info points at La ZAD there is also an info point in Nantes if you want to come to La ZAD. More information about the info point in Nantes; here. A call against the second wave of evictions is here. 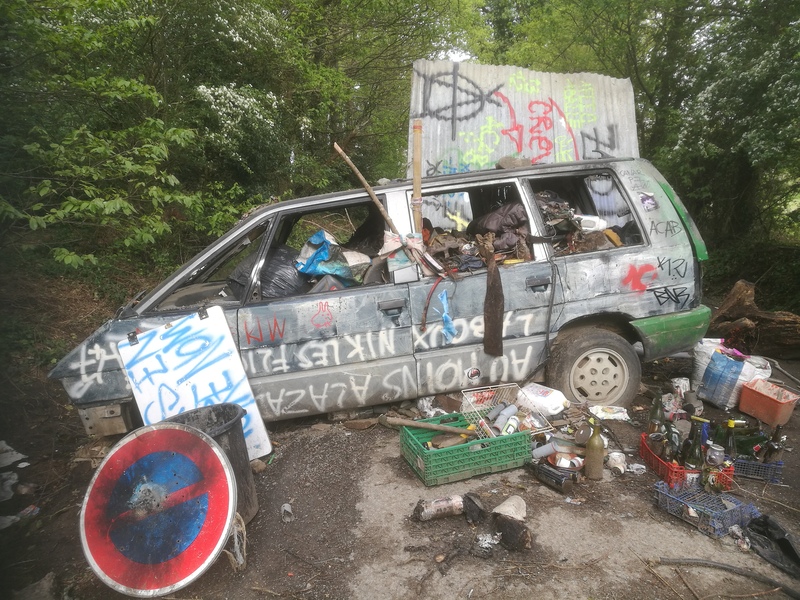 French mainstream media expect that the cops will prioritize to target ZAD projects that did not negotiate with the state about legalization and refused to fill out the offcial form. La Grée could be one of the first expulsion targets of the cops. But never trust the state and don’t feel secure if you are staying in projects that are negotiating with the French state. Be aware that cops might start searches and targetted arrests on the entire ZAD! Clean up the places where you are staying of anything objectionable or any object that could be used against you, including clothes or other objects that the cops could use to identify you (by photos, drones, helicopter, embedded cameras, … There are many methods to identify people). To protect oneself is also to protect others. Re-read anti-repression textbooks, get organized in your collective. Keep informed of the police presence on Radio Klaxon If you can’t receive Radio Klaxon on the first link try https://streaming.parleur.net/ or indymedia grenoble) , Nantes Indymedia, Zad.nadir, @ZAD_NDDL @ZADResist, people you meet (But take care… there are also civil cops), get organized by two persons (never go alone, in case of arrest nobody will know and nobody can inform the legal team) or more, and spread that one never takes too much precaution to avoid the cops, and especially the PSIG, sort of BAC units that run fast and ambushes. To the people who would come to the Zad, know that checkpoints start to appear sporadically and that the controls seem to harden: several cases of long checks where all the papers (id’s) have been checked, where everything has been searched, and where all the personal stuff of the people in question were photographed. Be careful! Or support our work by ordering a t-shirt in our shop. New shirts and other stuff in the Enough is Enough shop. Click here.